The energy monitor shield has three current sensor inputs (A0 thru A2) which have a voltage divider to provide a reference offset voltage for the analog inputs on the Netduino. The reference offset voltage with a 5V supply was 2.5V which meant on a 3.3V device the range of the sensors (1V for 30 Amps) would be compromised. In a previous post I modified the shield by replacing a resistor but there appears to be an easier modification. While looking at the schematic and the shield I realised that cutting off the 5V pin and connecting the 3.3V pin and 5V pin together would make all the analog inputs use the 3.3V rail. It would be good if the designers of the shield would consider putting a switch or jumpers on the device to allow 3V3 or 5V operation. The two buttons on the energy monitor shield are connected to the analog input A3 via a voltage divider. The shield appears to be designed for 5V devices as the input for the voltage divider is connected to VCC which is 5V. 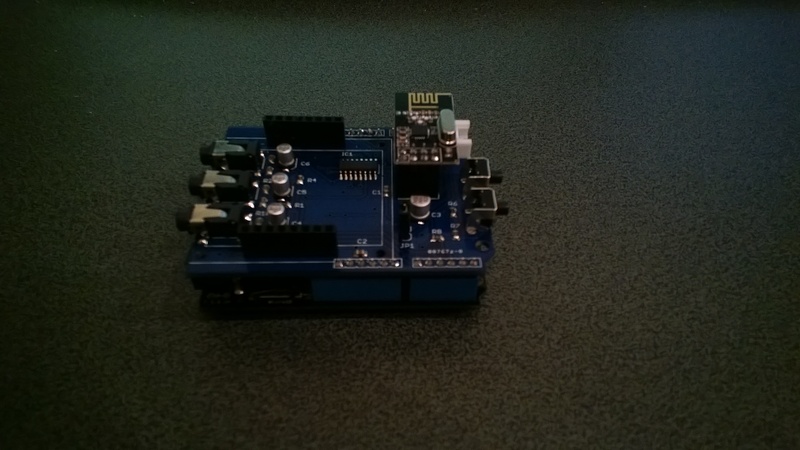 Netduinos and some Arduinos are 3.3V devices and this approach won’t work on these devices. The return value of the AnalogOutput with no button pressed was 1.0, SW1 pressed 1.0 and with SW2 pressed 0.93. To change the input voltage of the voltage divider I removed R8(circled) and replaced it with a 1K resistor connected to 3.3V. 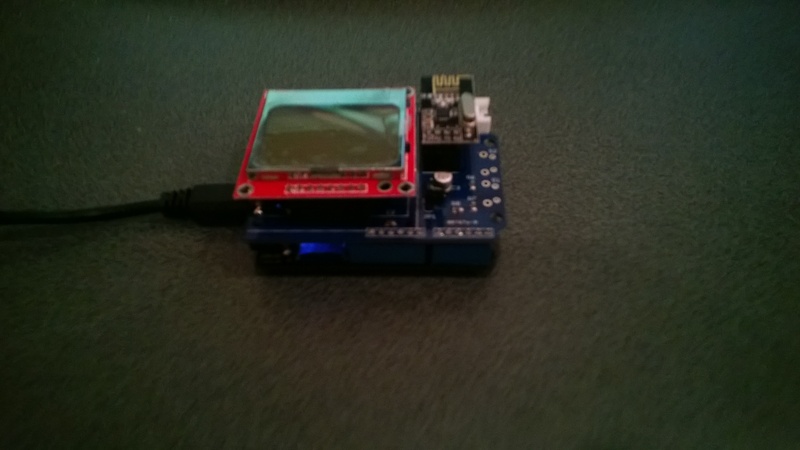 I have used the Nordic nRF240L1+ .Net Micro Framework Driver on a couple of other projects but initially struggled to get it working with this configuration. 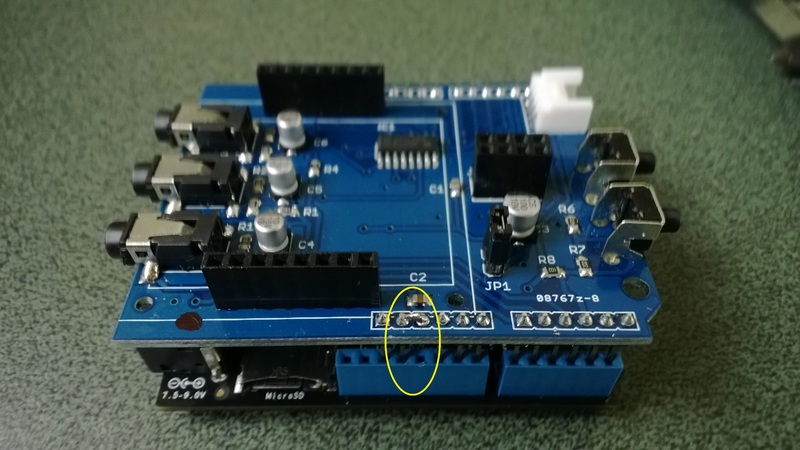 After looking at the pin outs of the nRF24L01+ and the Energy Monitor Shield schematic I think the CSN & CE are reversed. (as at March 2014). One of the projects I’m planning for code club is a power consumption monitor. After some research and checking of circuit diagrams the Energy Monitor Shield designed by devicter looked like it would work with a Netduino. The analog voltage inputs for the AC current sensors plus the SPI bus configuration for the Nokia 5110 display and nRF24L01+ appear to be compatible. Initial impressions are good, only problem is the backlight is a little bit bright (so I removed the jumper).